Choosing a bowling ball might seem easy at first but there is a pool of factors that you need to consider before making the ultimate purchase decision, specially when you are looking for a ball with ultimate hook potential. There are countless bowling balls available in the market but we want only the best for you. Bowling balls are mainly made of 4 types of Coverstocks – Plastic, Urethane, Reactive Resin, and Particle (Proactive). Different coverstock materials perform and react differently on the lane surface. When a bowling ball is rolled through the lane, friction is created from the contact between the coverstock and the lane surface. The more friction will lead into more hook potential. The amount of friction created will vary depending on the coverstock type and, to some extent, on the weight block. So, after extensive research, we have figured out the best bowling balls for hook. Without further ado, let’s have a look. The Hammer Black Widow legend is another addition to the Black Widow family that hits the pins like a Hammer. 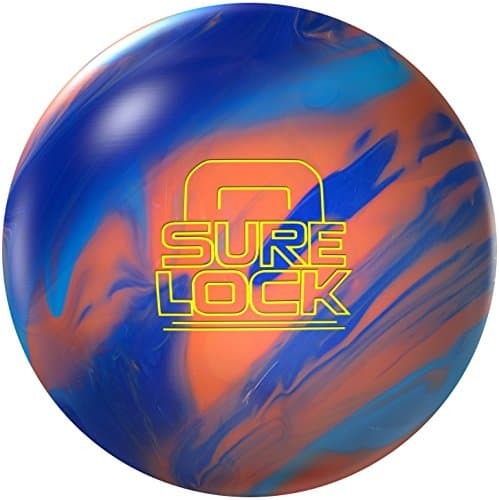 Heavy oil lanes are Black Widow legend’s forte so if you’re someone who prefers heavy oil lanes over the other then getting this ball would be the wisest choice. It offers incredible hook and it’ll surely help you rock the alley this season. Many elite players have raved about this ball and rest assured that it will provide you the outstanding hook that you have been looking for. The Black Widow Legend features a Gas Mask Core wrapped in with NBT Hybrid coverstock that comes out of the box with 1000 grit Abarlon finish providing extreme durability under all circumstances. It ensures that you get the right amount of length with an optimum hook that will help you take the game to the next level. 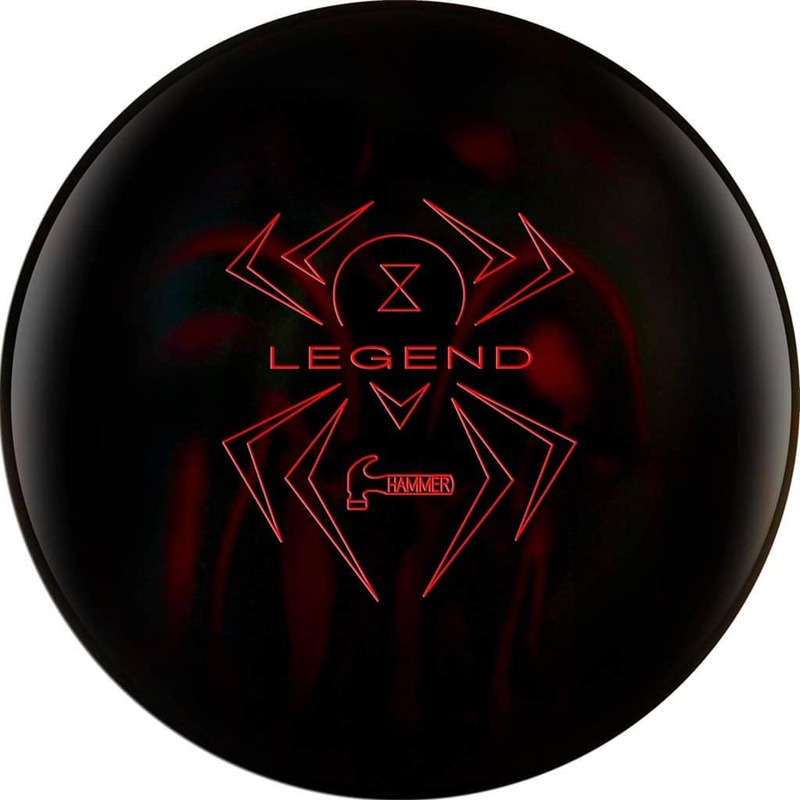 However, if you’re looking for a ball for playing on dry lanes then the Black Widow Legend is not your guy. Considering the price, it’s an ultimate hooking legend that Hammer has ever produced. 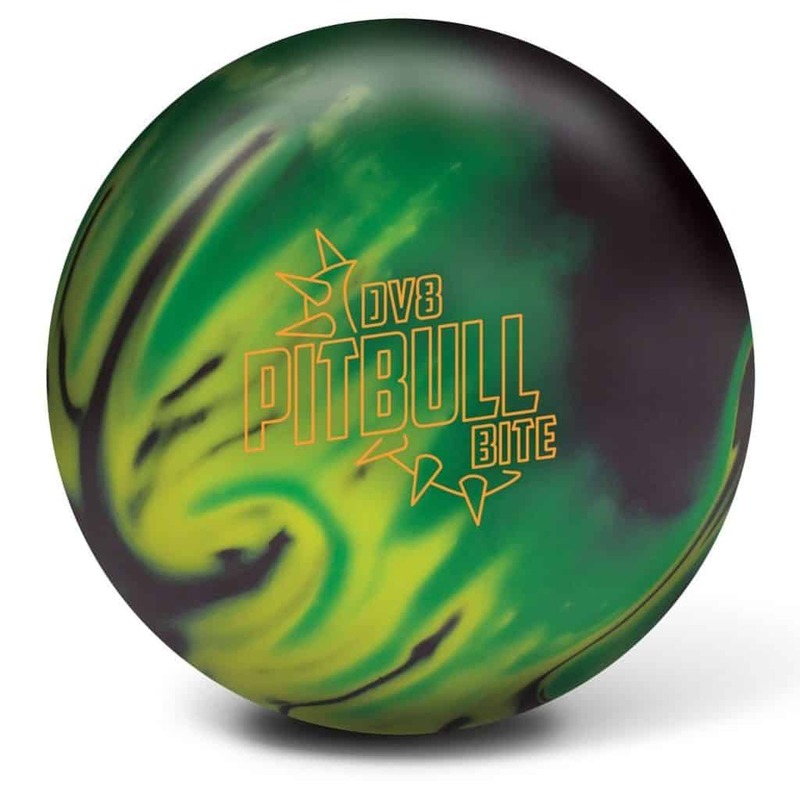 The Dv8 Pitbull bite is a phenomenal bowling ball that delivers outstanding performance on the lane. It’s the biggest hooking dog in the Pitbull line of the DV8 that offers superior performance on heavy oil lane patterns. It does justice to the name as it provides strong mid-lane motion with a tremendous bite on the backend. The DV8 Pitbull features Pitbull low RG asymmetric core with composite fang coverstock that comes out of the box with 1500-grit SiaAir micro pad that has the best hooking potential even in heavy oil lanes. The asymmetric core provides a great read on both medium and heavy oil lane condition. It has a low RG rate of 2.486 with a differential of 0.055. The high friction of the ball enables it to achieve smooth roll once it makes it’s way down the lane. It comes in five size variants ranging from 12lbs to 16lbs so that bowlers from all ages and skill level can enjoy the goodness of this magnificent creation. The price is on the steeper side but who bought gold with a nickel? It’s the greatest hooking ball DV8 ever made and it’s absolutely worth the splurge. 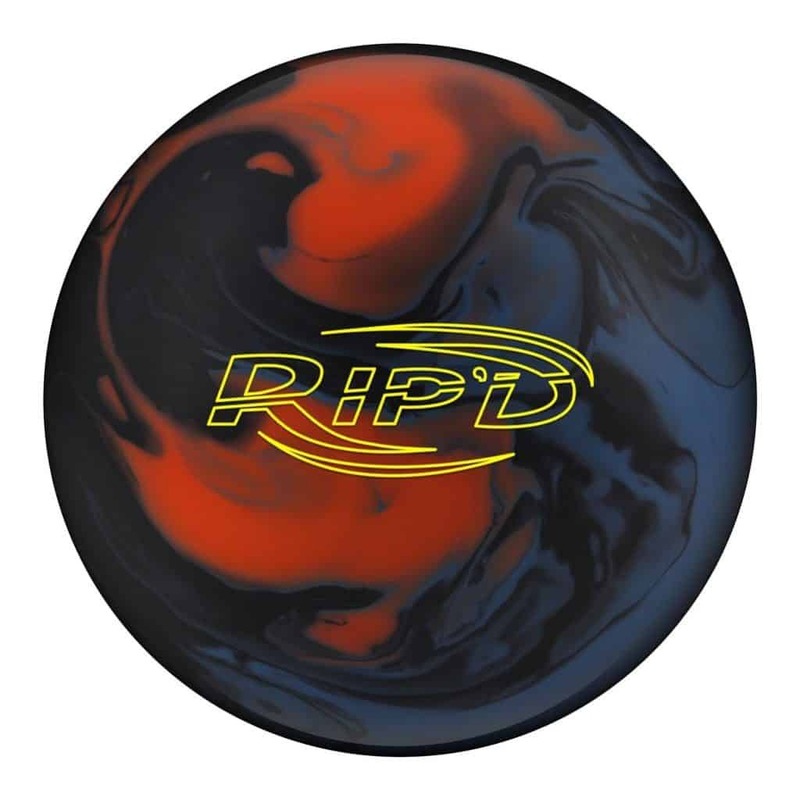 The Hammer Rip’d Solid is another superb addition to Hammer’s premium bowling ball line that delivers rock-solid performance on the lane. It’s an aggressive bowling ball and Hammer has done an outstanding job with it. It features Hammer’s innovative RIP’D with flex-resin additive, ceramix surfacing process, and carbon-fiber outer core that’s paired with extremely strong and durable Aggression Solid CFI coverstock. The asymmetric core makes it a total beast on an oily lane that delivers a massive impact on the pins. The Rip’s Solid has low RG with a high differential that provides decent length and angle off the breakpoint. It comes in five size variants hence you have the flexibility to choose the one that matches with your playing style. The Rip’d come in three fantastic color variations of blue, black and orange. This ball is surely a hooking legend that has an excellent hook on heavy oily lanes. It has incredible mid-lane traction with continuous down lane motion. It glides effortlessly on the lane with the maximum amount of hook. The price of the Rip’d Solid is quite moderate considering a premium line model. This doesn’t come pre-drilled so you need to drill it after the purchase with additional cost. However, the performance it provides does absolute justice to the price. 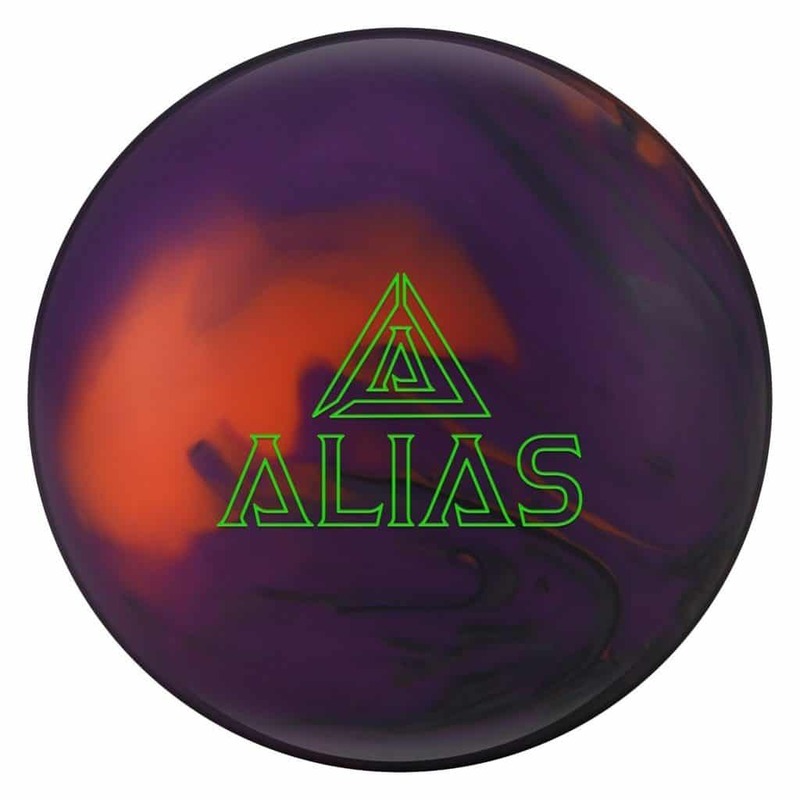 Track Alias is an incredible bowling ball that will take your performance to a great new dimension with its superior hooking power. The Track Alias is one of the best hooking ball Track has to offer. It’s designed in a versatile way hence it delivers awesome performance on every lane condition. It features Alias core with Prime Hybrid coverstock that’s one of the best coverstock made by Track till this date that comes out of the box with 500/2000 Abralon finish. The Alias delivers magnificent performance on heavy oil lanes generating lots of angles which makes it stand out in the crowd. The Alias is an aggressive ball that has tremendous hooking potential, especially on the heavy lanes. So, if you’re a bowler whose specialty is heavy oil lanes then the Track Alias is an absolute godsend for you. It comes in four size variants from 12lbs to 16lbs making it a perfect bowling ball for the advanced players. If you have a high rev rate then it will be a perfect equipment for house shots as well as sports patterns. Even though you need to spend some pretty penny on the Alias but the outstanding performance that it provides will make up for it. The Strom Sure Lock is an ultimate beast that vows to deliver a monstrous throw at the pins. It’s another superb addition to the Storm family that hooks hard and offers great angles. It’s one of those versatile balls that works great on everyone’s hand regardless of their skill levels. It features the revolutionary RAD-X asymmetrical core that creates a massive hook when it reaches the surface with less friction. The core is wrapped in GI-17 Solid Reactive coverstock with 2000 Abrasion finish making it an ultimate hooking powerhouse. The Storm Sure has a solid build that offers exceptional backend and high reaction. It weighs a whopping 15lbs and managing this not everyone’s cup of tea. This ball is designed to serve the needs of the skilled players who need a quality bowling ball to rock the season with. This versatile product also enables you to drill it to fit your playing style and the curvature of your hand. Make sure you take it to a pro shop operator to have the perfect layout drilled. Even though the price is a bit on the steeper side but it will provide you with great performance and leave you no room for regret. Years of research, observation, core and coverstock analysis is there before Pyramid technology introduces the Pyramid Force. 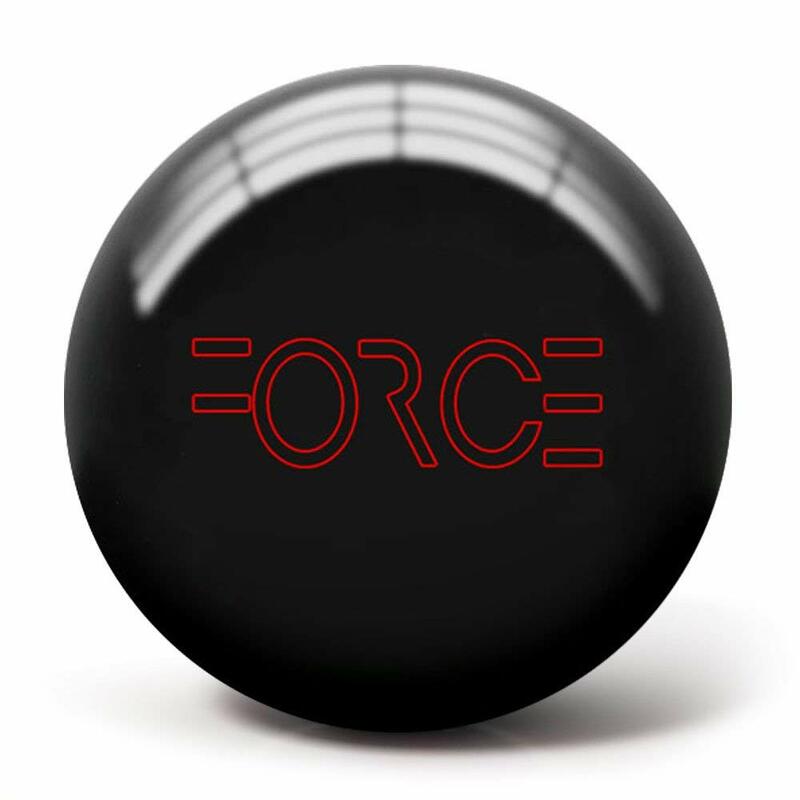 With ever changing variables within the bowling industry, (e.g., lane conditions, ball speed, rev rate) Pyramid Force allows any bowler, be it stroker or two-handed, to achieve top performance on medium to heavy oil lane conditions. Force is equiped with the SG Precessional Asymmetric core. This medium RG and differential engine creates a tremendously strong yet predictable consistent ball motion. Thus it transfers huge energy to the pins. Paired with the black GPS Navigational Solid coverstock, Pyramid Force has a finishing of 2000 grit Abralon. So you could definitely expect strong reaction in the fronts and the mids as well as unwavering continuation on the backend. After the massive hit of their Quantum line, Brunswick has introduced their newest addition to the line, the Quantum Bias. This ball has superb performance that will live up to the expectation of the users. It features a high-density Quantum Mushroom High RG Asymmetric core that enables it to deliver phenomenal hook on the bowling alley. The Mushroom core is wrapped in thick ECA-XR urethane coverstock that comes out of the box with sanded 500/1000 SiaAir finish. 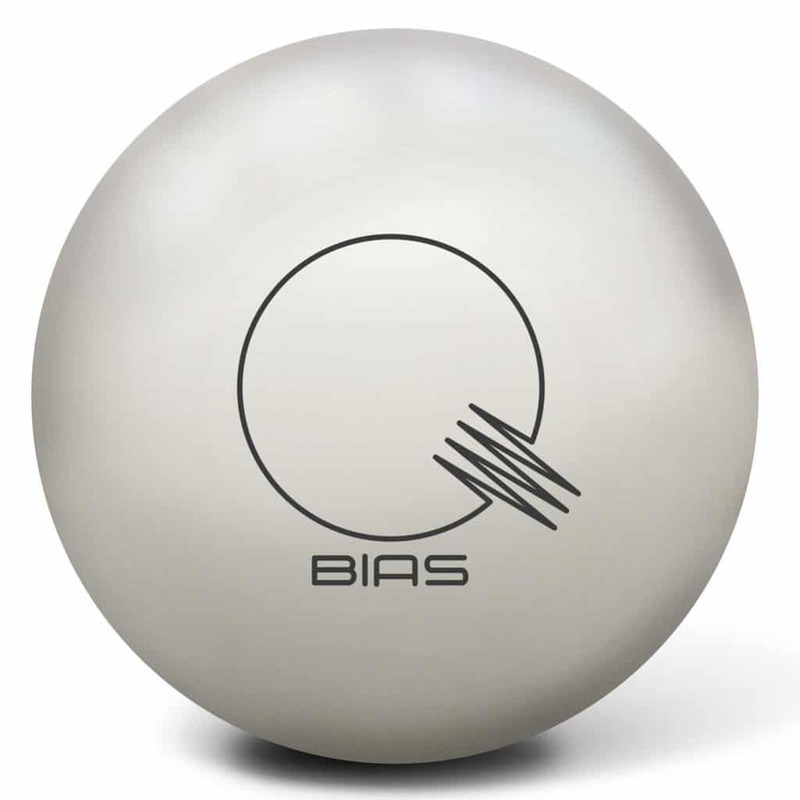 The Quantum Bias has a very basic look with solid white color and the logo. However, there’s a monster hidden under the simple looks that prove to be an animal on the lane. It provides an incredible hook on heavy oil condition. It has an RG of 2.563 with a differential of 0.052 and the innovative traction additive added in the white cover makes it hook like a pro. The price of the Quantum bias is a bit on the higher side. However, we can assure you that you’ll be overwhelmed by its performance once you get your hands on this mesmerizing beauty. There are countless factors you need to consider if you’re in search of a good bowling ball. Let’s have a quick look at them. The feature that has a tremendous effect on the hook potential of a bowling ball is the coverstock. A lousy coverstock will result in a sloppy performance which you want to avoid at all cost. Polyester covers are generally used by beginner friendly bowling balls and they are known to be famous for straight shots. On the other hand, urethane coverstocks have greater hook potential on dry lanes and the reactive resin coverstock offers the best hook potential on medium to heavy oily lanes. Weight block is a particular shaped material found inside the bowling ball beneath the coverstock. There are mainly two types of weight blocks — High Mass and Low Mass. A High Mass weight block is usually a pancake shaped weight block that is placed close to the coverstock of the ball. This type of weight block promotes a lot of length down the lane as it does not tend to allow the ball to get into a heavy roll. A Low Mass weight block can be a variety of shapes and densities. Low mass is usually placed more towards the center of the ball. This allows a heavier roll which helps to increase hook potential. 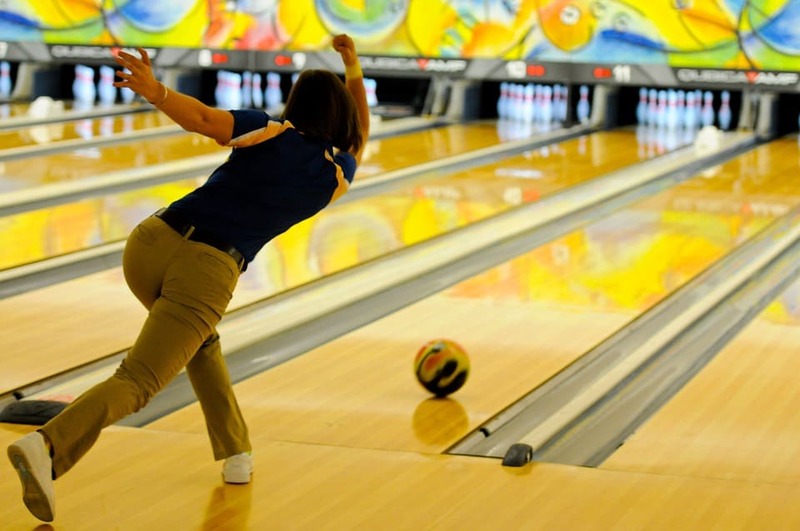 The lane condition where you’re going to play is another crucial feature in determining which bowling will hook the most for you. We have reviewed balls suitable for all lane condition be it dry, medium or oily, you’ll surely find a one that meets your requirements. No matter how good your ball is if you drill it the wrong way it wouldn’t provide you the desired hook. Also, try to use the fingertip grip to get the maximum hook out of the ball. Bowling is a fun game and the enjoyment increases, even more, when you learn to hook. Getting a ball that’s designed for hooking will enhance your performance to a great extent. However, bear in mind that no matter how good of a ball you use, your skill level will play an important part in the overall performance. We have listed out the pros and cons of each ball so that you can find your perfect match. Go grab the best bowling ball and hook like there’s no tomorrow!